July 2015 – The Native American Scenic Byway has been included by Men’s Journal magazine as one of the best byways in America. Men’s Journal is a lifestyle magazine focused on outdoor recreation and environmental issues as well as other topics geared toward active and adventurous lifestyles. The Native American Scenic Byway includes a collection of roadways throughout the Crow Creek, Lower Brule, Cheyenne River and Standing Rock reservations in South and North Dakota. These roadways have been designated by the United States Department of Transportation as being diverse and distinct. There are only 150 roads that have been designated as America’s Byways. Sitting Bull College is the byway organization for the Standing Rock segment. 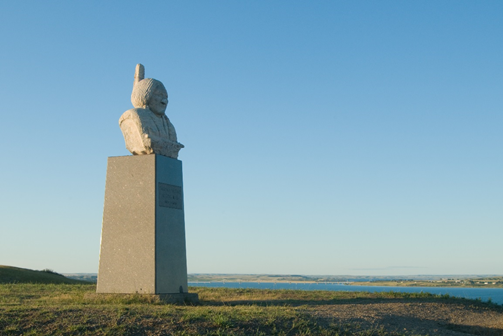 From North to South the Native American Scenic Byway begins at the Cannonball River in North Dakota and ends at I-90 in Chamberlain, South Dakota. For more information about the Byway go to http://www.fhwa.dot.gov/byways/. To read the Men’s Journal article go to http://www.mensjournal.com/expert-advice/the-best-byways-in-america-20150717.